Today’s prompt is to publish something different than you usually publish. The ways in which this particular post is different for me has more to do with process than content. I always write posts from my desktop at home. If I’m not home, I don’t write. I no longer carry a laptop with me and my iPad can be a bit annoying to use for blogging. Despite this usual practice, I am writing this post on my iPad, while sitting in the West Hartford, CT library, 1500+ miles from my home in Florida. I wanted to share my past week with you! Last Friday, May 8, I left Florida and flew to Hartford, then drove up to Burlington, Vermont. 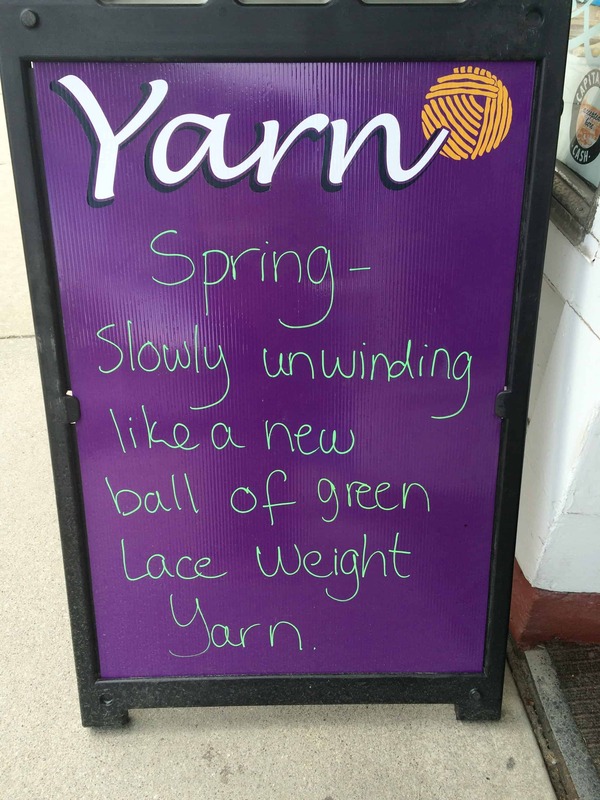 I’ve wandered around New England, visiting family, friends, and yarn stores. I’ve limited myself to one picture for each day of the trip — also a departure from my usual wordy posts. Don’t worry, there will be more posts on the yarny portions of the trip! 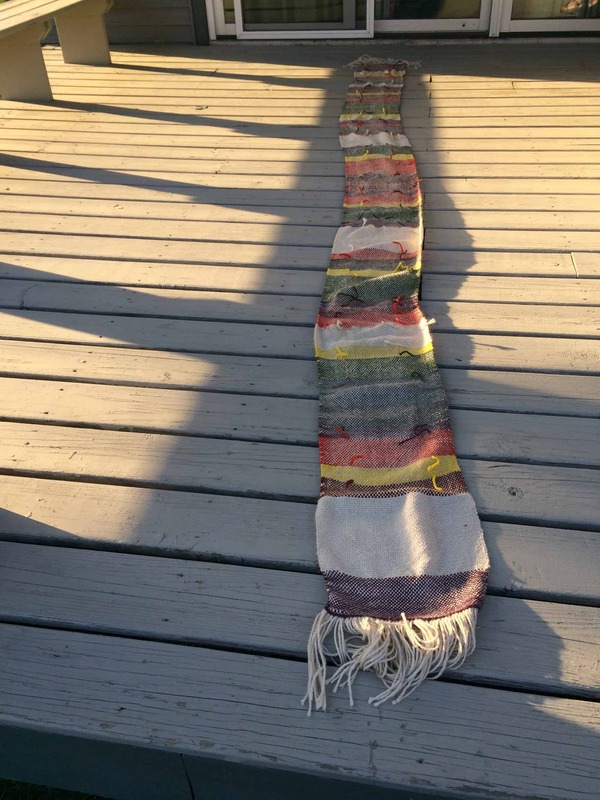 After I arrived in Vermont, I had to cut the ends off the Dr. Who Scarf. 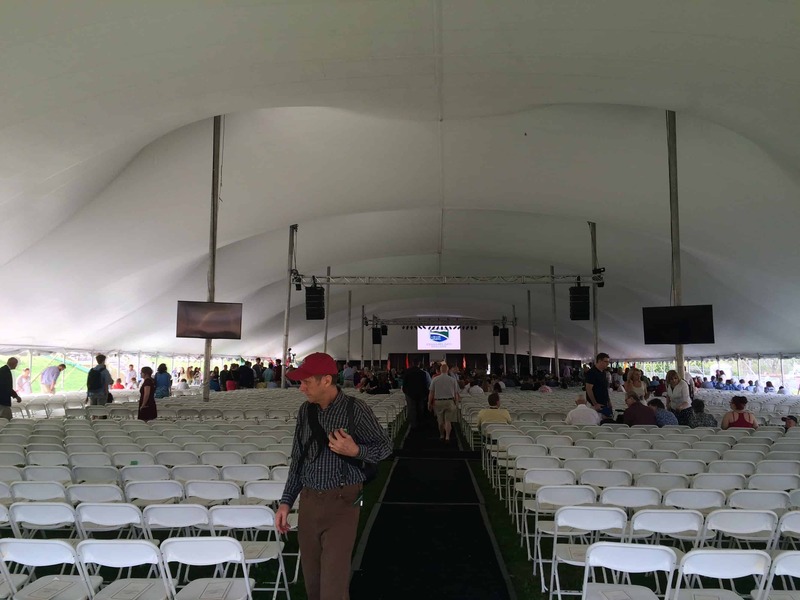 On Saturday, I attended my cousin’s college graduation. 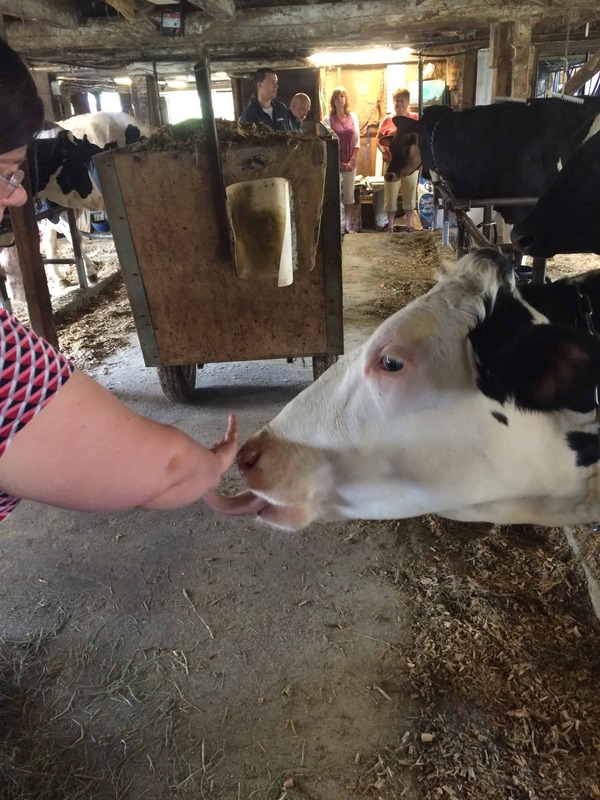 On Sunday, I visited a dairy farm and a cow tried to eat me. Seriously! She wasn’t just licking — she wrapped her tongue around my wrist and tried to drag my hand into her mouth. On Monday, I checked out the Burlington, Vermont area. This included a tour of the Ben & Jerry’s factory. 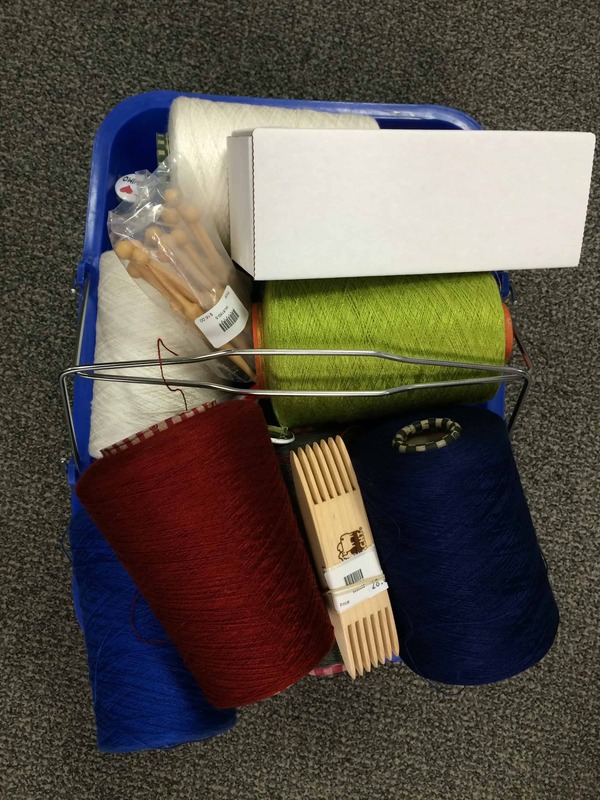 On Tuesday, I yarn crawled my way from Burlington, Vermont to Northampton, Massachusetts. On Wednesday, I visited WEBS!! (For the uninitiated, that’s the largest yarn store in the U.S.) I had them ship my yarn because cones don’t compress well in luggage. On Thursday, I visited The Book Barn. 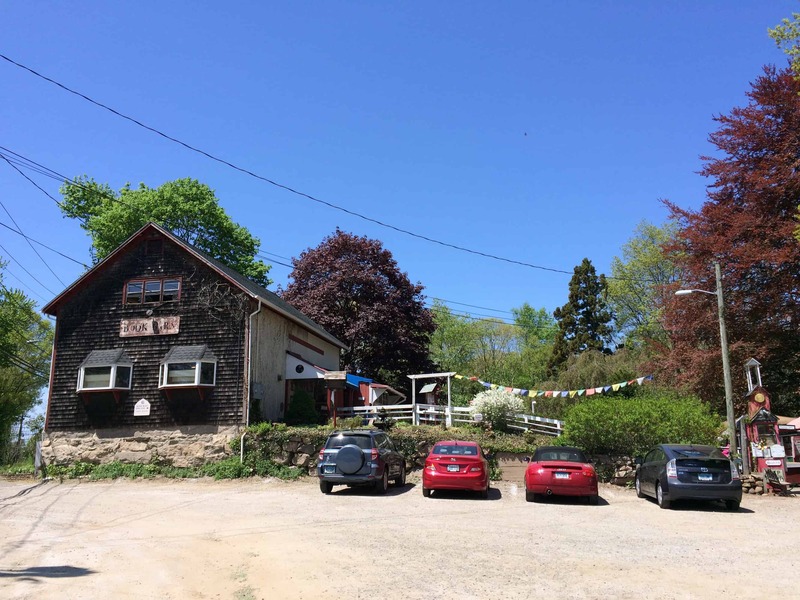 This is my favorite used bookstore and it is located in Niantic and East Lyme, Connecticut. Today, I’m flying home. I have so much yarny wonderfulness to share with you from this week. I can’t wait to get home and start writing! So much fun to see the Dr. Who scarf laid out end to end! I am imagining how being licked by a cow feels, and am about to go wash my arm… Looking forward to more fibery pics and stories. Sounds & looks great – can’t wait to read more about it! 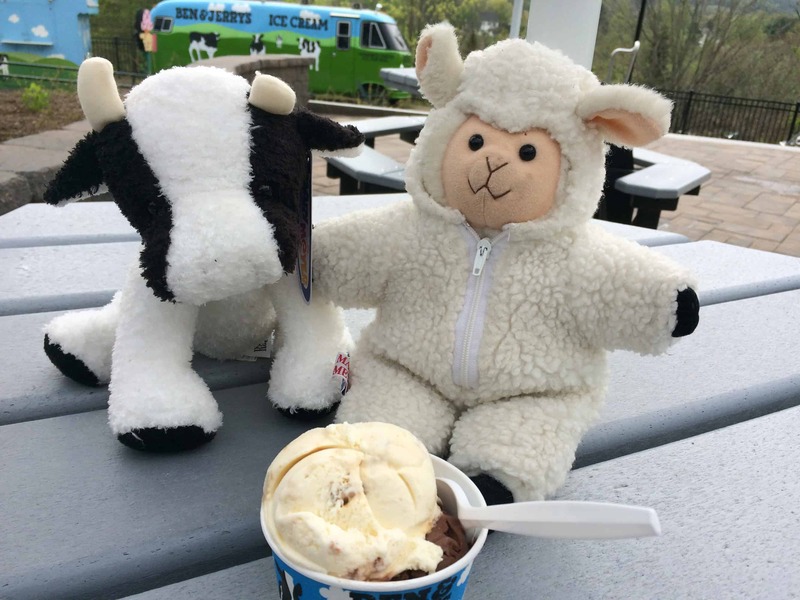 That sheep stuffed animal is very cute. I imagine the fleece zips off to a shorn sheep look, but perhaps you will tell us. It sounds like you had a great time. I’m looking forward to the stories! Looks like you have had a wonderful trip! Love all the pics. Oh yeah, road trips are the best!!!! love the pic of the little ones with the ice cream!